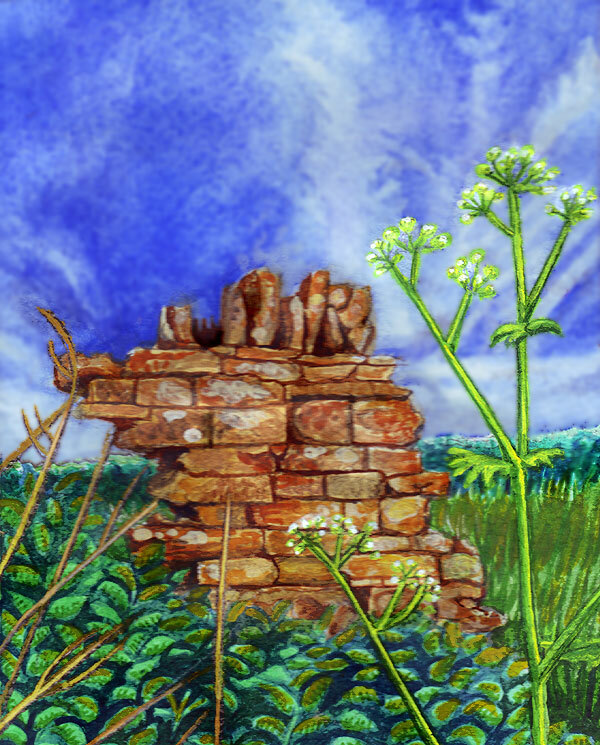 Watercolour painting of a ruined wall and a bunch of weeds, heh. I like painting old stone – or brick in this case. Lovely, yummy lichens and such.